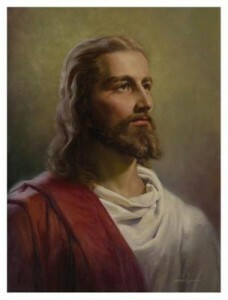 Jesus is the Savior of the world. His coming was promised and foretold following the very first sin (Genesis 3:15). All of world history was shaped around his coming to earth and doing away with the sin that has infected this world. 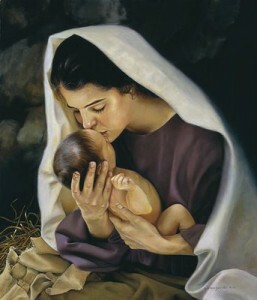 When the time came for the Savior to be born, he was conceived by the Holy Spirit and born of the virgin Mary. When he was 30 years old, Jesus began his ministry of preaching and teaching about the kingdom of God. Three years later, he was crucified on a cross by the Roman government at the request of the chief priests and elders in Jerusalem. His perfect life and his death on the cross atoned for the sins of the whole world. The good news (“gospel”) of his work on our behalf has been preached ever since. 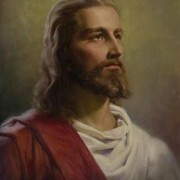 You can learn more about Jesus and his work from the teachings found throughout the site. Jesus is God and therefore eternal. 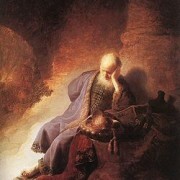 His earthly life was from approximately 6-4 BC until 27-29 AD. The entire Bible is the history of Jesus as our Savior. The Gospels (Matthew, Mark, Luke, and John) contain the accounts of Jesus’ earthly life. 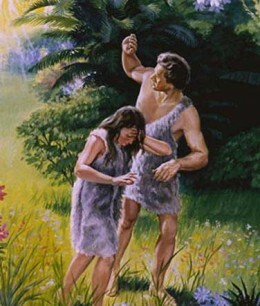 Adam and Eve were the first two human beings, created on day 6 of creation. Sometime after creation they were tempted by Satan into disobeying God, and their corruption into sin and death has been passed on to all creation ever since. Following their first sin, God promised a Savior to atone for the sin they brought into the world and to defeat Satan (Genesis 3:15). 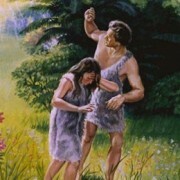 The exact date of creation and the time of Adam and Eve is unknown. Estimates include anywhere from 6,000 BC to 4000 BC, though these estimates are highly speculative. Noah was a believer who was surrounded by a world of unbelievers. The sin of the unbelievers was so bad that God decided to send a flood to destroy every living thing on earth. God told Noah to build an ark for him, his family, and for two of every kind of animal in order to repopulate the earth after the flood. God’s preservation of Noah and his family shows that he was keeping his promise of a Savior to Adam and Eve. Approximately 3056 BC to 2106 BC. 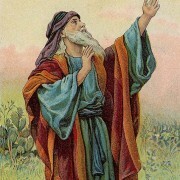 Originally named Abram, God changed his name to Abraham (“father of many”) after choosing his family line to be the one which would bring forth the promised Savior. God promised Abraham that he would give him a beautiful land (the “Promised Land”) and make his descendants into a great nation to live on that land. He also promised Abraham that the Savior would be born from his descendants. Approximately 2,000 years later, Jesus was born to complete the fulfillment of that promise. 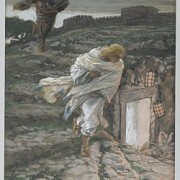 The son of Abraham and Sarah, who was born when Abraham was 100 years old. God guided his marriage to Rebekah, and she gave birth to twins, Esau and Jacob. 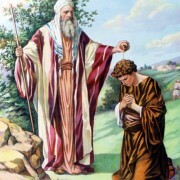 The promises and blessings originally given to Abraham were passed on to Isaac, who eventually passed them on to Jacob. 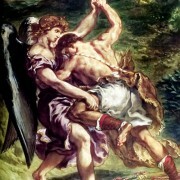 Joseph was Jacob’s favorite son, and the favoritism caused Joseph’s brothers to sell Joseph into slavery in Egypt. While in Egypt, God was with Joseph in all he did and guided him through slavery and wrongful imprisonment to make him second in command only to the Pharaoh. 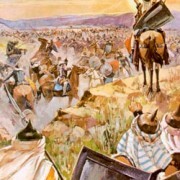 Joseph’s wise management of the Egyptian nation caused it to flourish even during severe famine. Many years after selling Joseph into slavery, his brothers went to Egypt in order to buy food during the famine not knowing that Joseph was still alive. After eventually revealing himself to his brothers, Joseph brought his father and all of his brothers to live with him in Egypt. 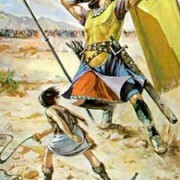 Sadly, over time the Egyptians forgot about Joseph and decided to enslave all of Jacob’s descendants (the Israelites). The Israelites were in Egypt for 430 years, at which point God raised up a prophet (Moses) to lead his people out of slavery and to the Promised Land. 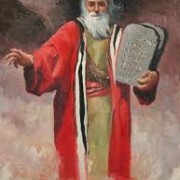 Moses was an Israelite who grew up in the house of the Pharaoh. At the age of 40 he murdered a man who was beating a fellow Israelite and fled in shame to another land. After living there for 40 years, God appeared to him in a burning bush and called him to lead his people out of Egypt (Exodus 3-4). God brought ten horrific plagues upon the people of Egypt in order to finally convince Pharaoh to release the Israelites. God gave the Israelites his Law through Moses and entered into a covenant with them to be their God in the Promised Land. However, due to the Israelites’ sin, God caused them to wander in the desert for 40 years before finally bringing them into the Promised Land. At the edge of the Promised Land, Moses died after 40 faithful years of service. 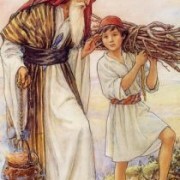 Joshua was Moses’ aide and leader of the Israelite army. Following Moses’ death, God gave Joshua the difficult task of invading and occupying Canaan, the Promised Land. 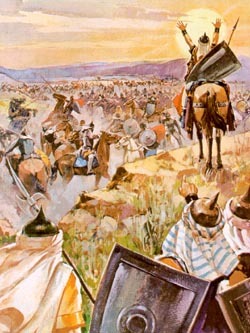 The conquest took 7 years, after which Joshua divided up the land among the tribes and clans of Israel. Samuel was the last of the Judges of Israel who helped lead the people between the times of Joshua and the first Israelite king. Samuel was also a prophet who, at the request of the people of Israel, anointed the first Israelite king, Saul. 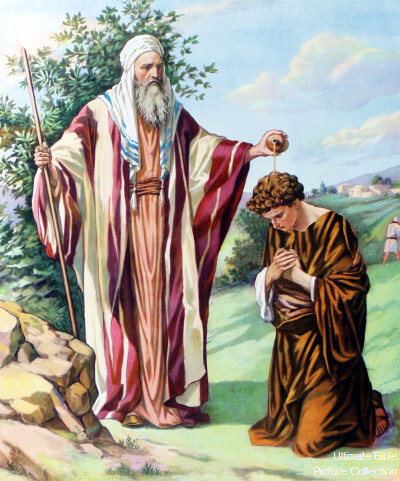 Following God’s rejection of Saul as king due to his sin, God told Samuel to anoint David as the future king of Israel (shown in picture). David was the beloved second king of Israel. 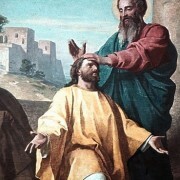 God sent Samuel to anoint him as king when he was merely a boy. 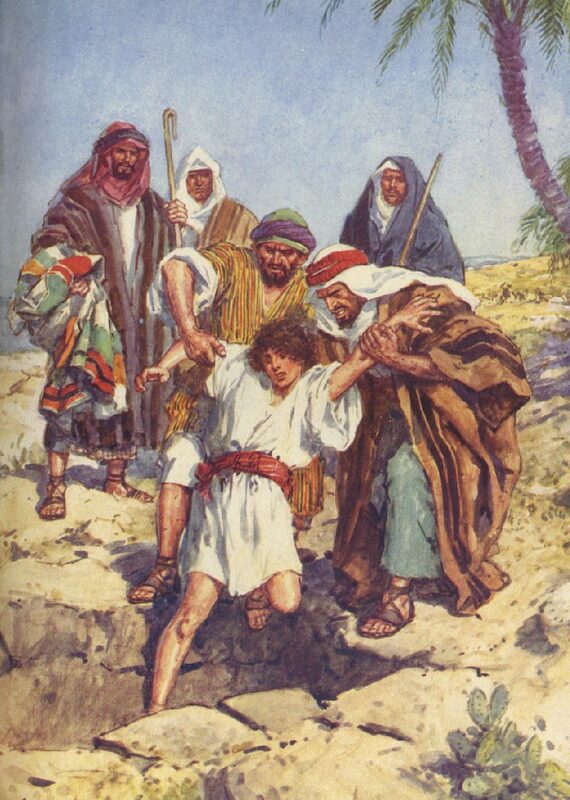 A young shepherd when he was growing up, he became famous as a very young man when he faced the Philistine giant, Goliath, and defeated him with a sling and a stone (shown in picture). 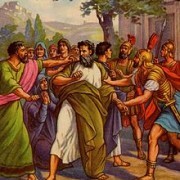 Eventually, he was made a leader in King Saul’s army, who became very jealous of David and his success and sought to kill him. After years of moving around and living in hiding because of Saul, David returned to the land of Judah following Saul’s death and was made king. Seven years later, he became king over all of Israel and reigned another 33 years in Jerusalem, expanding the kingdom throughout his reign. God promised David that the coming Savior, the Messiah, would come from his family line (2 Samuel 7; Luke 1:26-38). Before his death, David made his son, Solomon, king over Israel. Solomon was David’s son and the third king of Israel. God gave him the gift of great wisdom, making him the wisest person on earth. 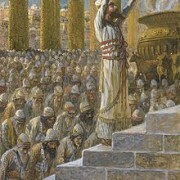 Early in his reign he displayed this wisdom, even following through on his father’s desire to build a temple for God. However, during the rest of his life he let his heart be led astray by the many women he married, setting up Israel to be the idolatrous nation it would become for many centuries. Following his death, the nation of Israel was split into two kingdoms, Israel in the north and Judah in the south. 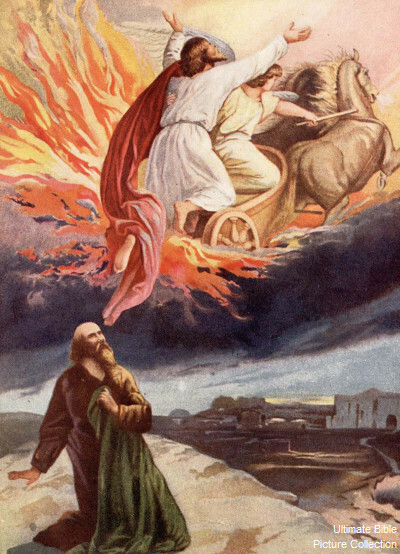 Elijah was a prophet of God who tried to turn the people of Israel away from the false god called Baal and back to the Lord during the reign of King Ahab. 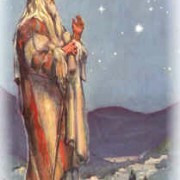 God performed many miracles through Elijah, including a miraculous sacrifice on Mt. Carmel that proved to the Israelite people that the Lord is the only true God. 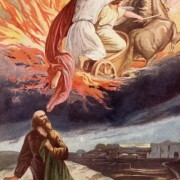 At the end of Elijah’s time here on earth God brought Elijah to heaven on a chariot of fire, making him one of only two people in the history of the world to go to heaven without dying (Enoch being the other – Genesis 5:24). 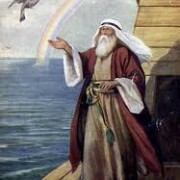 Jonah was a prophet of Israel who served at some point during the reign of King Jeroboam II. He is most known for the extraordinary events recorded in the book that bears his name, the book of Jonah. There it is recorded that Jonah was given a message from God to relay to the capital city of Israel’s greatest enemy, the city Nineveh in Assyria. However, Jonah did not want to relay this message because it was a message calling them to repentance and faith, and Jonah felt that the people of Nineveh did not deserve God’s grace. While fleeing from his responsibility to preach this message, God sent a great storm that caused Jonah to be thrown overboard into the sea, at which point God sent a great fish to save Jonah by swallowing him for 3 days. After being released on shore, Jonah made his way to Nineveh, preached the message of repentance, and the people were saved from pending calamity. The account of Jonah not only shows God’s grace for all people, but his 3-day episode within the fish was also referenced by Christ as a picture of his resurrection from the dead (Matthew 12:38-45; 16:1-4). 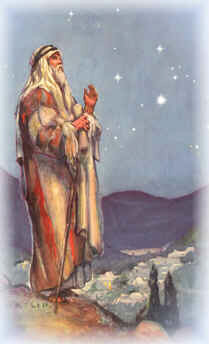 Isaiah was a prophet of God who lived in Jerusalem and served the kingdom of Judah. The book of Isaiah contains his prophecies and other messages from God to the people of Israel and to the surrounding nations, many of which concern the coming Savior (e.g., Isaiah 49-51). For this reason he is frequently quoted in the New Testament to show that Jesus is truly the promised and prophesied Savior of the world. 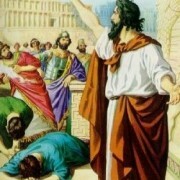 Jeremiah was a prophet in the kingdom of Judah who faced difficult opposition due to his unpopular prophecies of discipline from God upon the unfaithful people of Judah. Ultimately, he prophesied the destruction of Jerusalem and of the temple, which he saw with his own eyes, causing him to write the book of Lamentations. 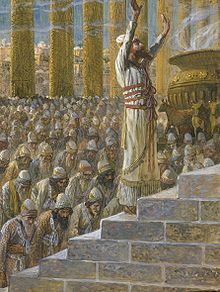 He also prophesied that the rebuilding of the temple would occur 70 years after its destruction (Jeremiah 25:1-14; Daniel 9:1-2), as well as other prophecies concerning the coming Savior (e.g., Jeremiah 23:1-8). 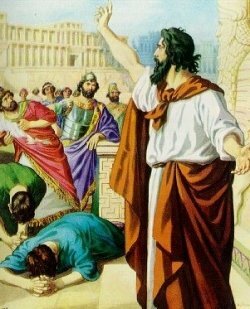 Daniel was a prophet of God born from a noble family who was one of the Israelites taken into exile to Babylon by King Nebuchadnezzar, who chose Daniel as one of four young noblemen to be trained for the king’s service. God gave Daniel the ability to interpret the dreams and visions of others and himself, which also gave him the admiration of the king. 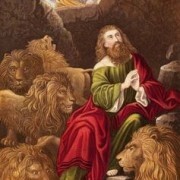 His strong faith and talents made him the target of other royal servants, who in jealousy engineered a way for Daniel to be thrown into a lions’ den. 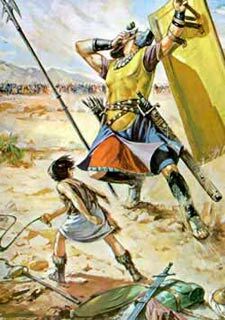 However, God sent an angel to shut the mouths of the lions and protect Daniel, and he continued to serve the throne through the reign of the Persian king Cyrus the Great (Daniel 6). Daniel had and interpreted many elaborate visions and dreams from God concerning the coming Messiah and the last days of the earth. Mary was a devout Jewish believer and the mother of Jesus. The Holy Spirit conceived Jesus in her womb when she was a virgin and was pledged to be married to a man named Joseph. The fact that Mary was a virgin when she became pregnant and gave birth to Jesus was prophesied by Isaiah roughly 700 years before it happened (Isaiah 7:14). The book of Luke contains so much detail concerning the birth of Jesus that it is believed he may have interviewed Mary before he wrote his Gospel. Mary and Joseph had other children together after Jesus was born (see Matthew 13:55, John 7:5, Acts 1:14, and Galatians 1:19). Joseph was the earthly, but not biological, father of Jesus. He was pledged to be married to a virgin named Mary who miraculously became pregnant. Joseph was quietly going to divorce Mary, but an angel visited him in a dream and told him not to do so because the child was the Messiah. 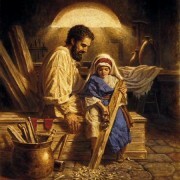 A carpenter, he raised Jesus as his own child along with his and Mary’s other children (see Matthew 13:55, John 7:5, Acts 1:14, and Galatians 1:19). 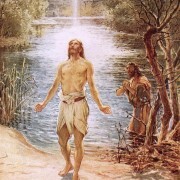 John the Baptist was a prophet whom God chose to prepare the way for coming Messiah. He guided the people back in the way of righteousness in order to prepare their hearts for the coming fulfillment of the gospel promise in Christ. 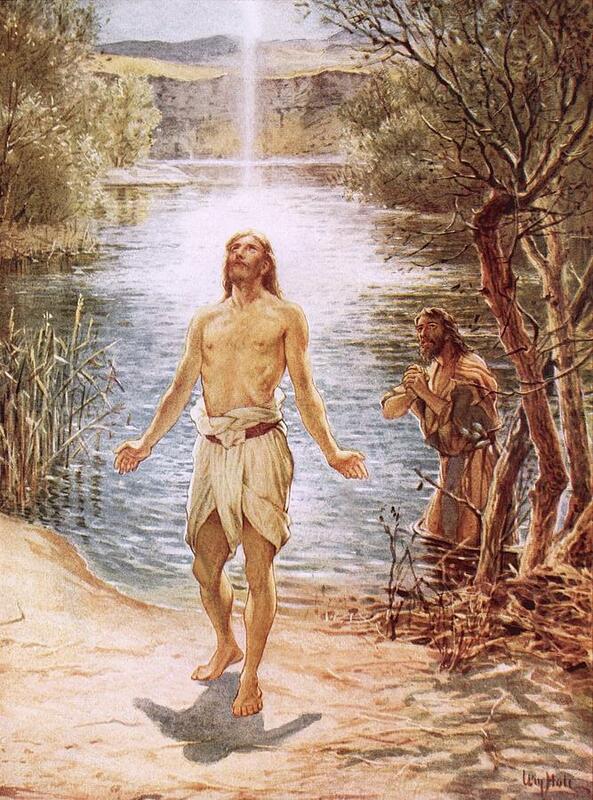 He is called “The Baptist” because he not only baptized Jesus, but through him God introduced a baptism of repentance for the forgiveness of sins. 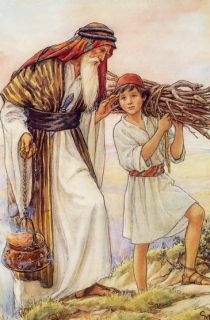 In a prophecy concerning his coming, he is also referred to as “Elijah,” an Old Testament prophet whose dress and courage in confronting sin were similar to John’s. John’s boldness in confronting the sins of the people eventually made him the enemy of the local ruler, King Herod, who was having an adulterous relationship with his own brother’s wife. 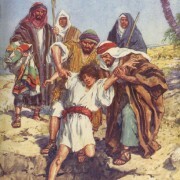 Herod eventually had John beheaded at the scheming request of his brother’s wife (Matthew 14:1-12). 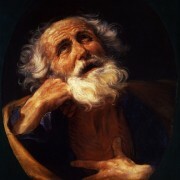 Peter was a disciple of Jesus whom most consider to be the leader of the disciples following Jesus’ ascension into heaven. During Jesus’ ministry, he was one of three disciples chosen by Christ to be part of his “inner circle” of disciples who were allowed to witness even more events than the other nine disciples. Although he disowned Jesus before Jesus’ crucifixion (Matthew 26:69-75), the Lord forgave him and encouraged him in his role as an apostle. 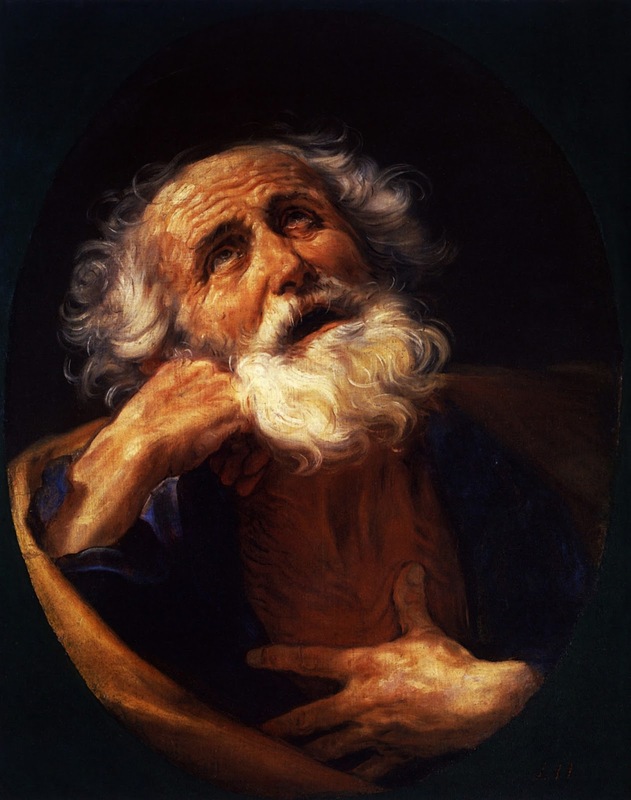 Peter, also known as “Simon” and “Cephas,” mostly ministered to the Jews in Jerusalem, but church history suggests that he eventually served in Rome and was executed during the reign of Nero. John was perhaps the youngest disciple of Jesus, and along with his brother James and with Peter was one of the “inner circle” of disciples. He and James, known as “the sons of Zebedee,” were fishermen called into discipleship by Jesus, who nicknamed them the “sons of thunder” because of their zeal, which sometimes got the best of them (Matthew 20:20-28; Luke 9:51-56). 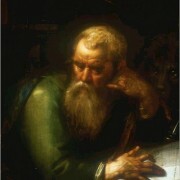 John, along with Peter, played a big part in the development of the early church in Jerusalem and most likely spent much of his ministry there. 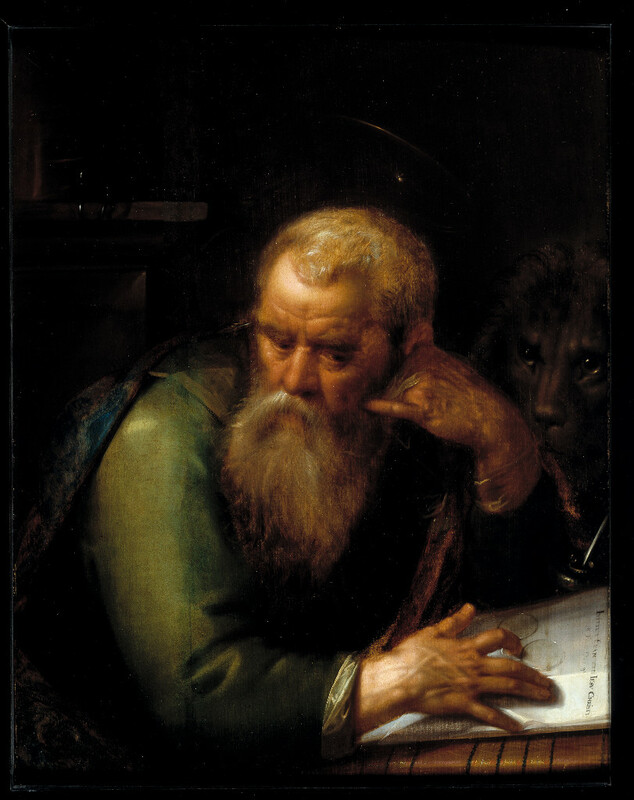 It is believed that later in his life he served as an elder in the city of Ephesus because of his being sentenced to exile on the island of Patmos. It was there that he wrote the last book of the Bible, Revelation. 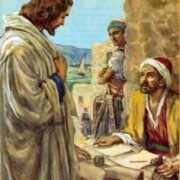 Matthew, also called Levi, was a tax collector whom Jesus called to be one of his disciples. The fact that tax collectors at that time were dishonest in their collections (demanding more money from people than what they actually had to pay) shows Jesus’ great mercy and love for those considered to be great sinners. 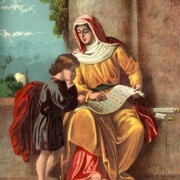 Matthew’s Gospel was most likely the first Gospel written and was intended for a Jewish audience due to its numerous references to the Old Testament. 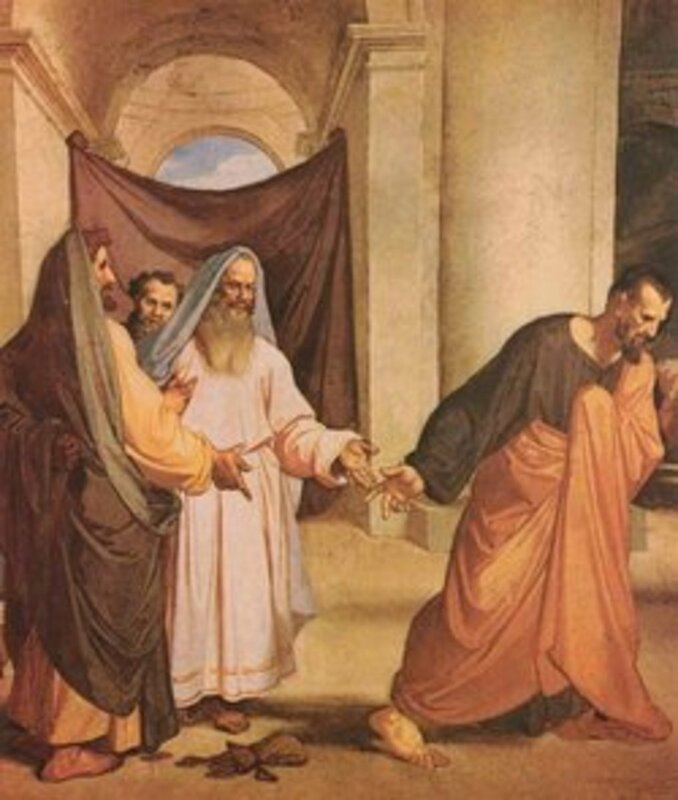 Judas was one of the original 12 disciples of Jesus. 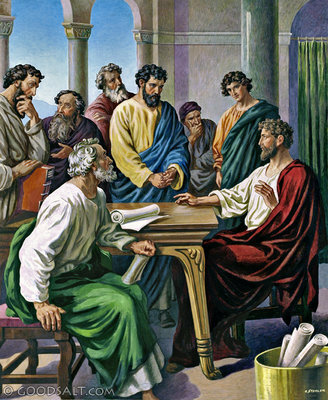 His struggles with greed ultimately led him to betray Jesus to the chief priests and elders for 30 pieces of silver. 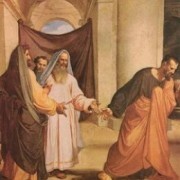 The chief priests and elders refused Judas’ attempt to confess his sin and give back the money (shown in the picture). Overcome with grief because of his sin, Judas hanged himself. Following Jesus’ ascension into heaven, the other 11 disciples appointed Matthias to replace Judas as the 12th apostle (Acts 1:12-26). James is one of Jesus’ half-brothers who became a prominent figure in the early New Testament church. Scripture tells us that James was not originally a believer in Jesus (see Mark 3:21; John 7:5), but following Jesus’ resurrection became a pillar of the church in Jerusalem (Acts 12:17; 15; Galatians 1:18-20). He is most likely the author of the epistle of James due to the timing of the epistle and his prominence in the church at that time. The apostle Paul is perhaps the greatest missionary this world has ever seen. He was a devout Jew named Saul who persecuted Christians of the early church, approving of their deaths and organizing efforts to put them in prison. 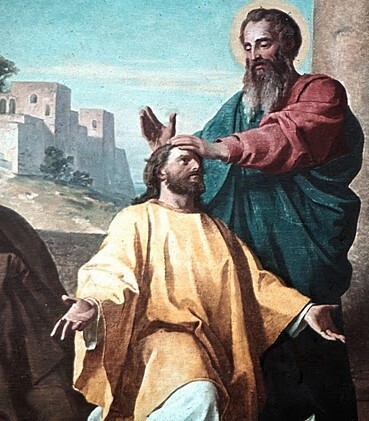 While on the road to Damascus in the middle of these efforts, the Lord Jesus appeared to him in a blinding light, confronted him about persecuting the church, and called him into service as an apostle and missionary to the Gentiles (non-Jews), renaming him Paul. 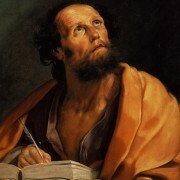 For the rest of his life Paul dedicated himself to the preaching and teaching of the gospel message, bringing the message to numerous cities between Jerusalem and Rome. Almost half of the New Testament writings are letters written by Paul to certain congregations and fellow ministers. See also the Chronology of Paul’s Ministry, as well as Paul’s First and Second Missionary Journeys and Paul’s Third Missionary Journey. Luke was a doctor who became a traveling companion and fellow worker with the apostle Paul. He is known mostly for his detailed authorship of his Gospel and the book of Acts. He most likely joined Paul during Paul’s second missionary journey in the city of Troas due to his abrupt change from third person pronouns to first person pronouns in that section of Acts (Acts 16:6-10). 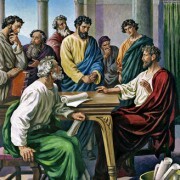 Mark, also known as John Mark, was a disciple of Peter and missionary in the early New Testament church. His mother, named Mary, seems to have often hosted gatherings for Jesus’ disciples (Acts 12:12). Mark was also the cousin of Barnabas, a fellow worker and missionary with Paul. Mark joined Paul and Barnabas on their first missionary journey, but abandoned them in Perga (Acts 13:2-13), causing later tension between Paul and Barnabas when Barnabas wanted to take Mark along on the second missionary journey (Acts 15:36-40). Although Scripture does not indicate how things were mended, his relationship with Paul seems to have been repaired because he helps Paul on a later journey (2 Timothy 4:11; Philemon 23-24). 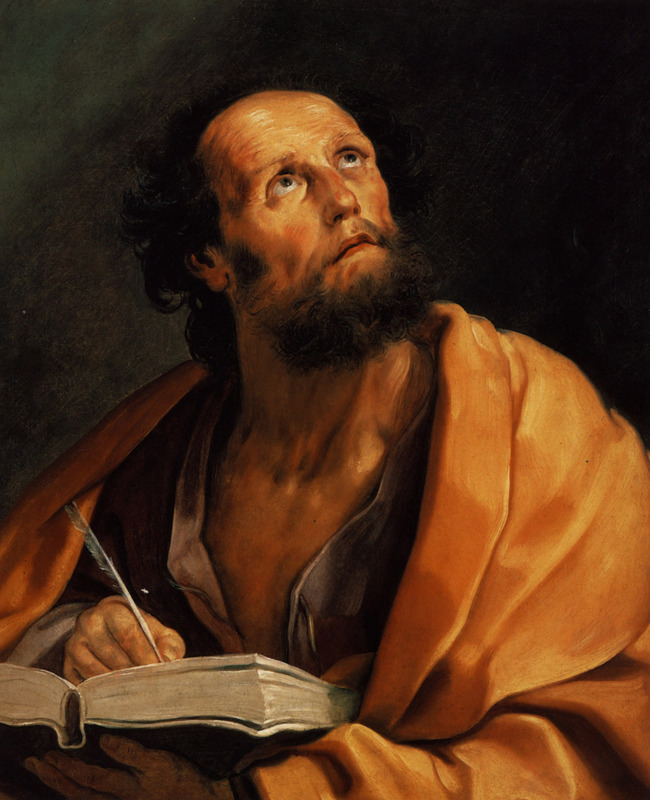 Since Mark was a disciple of Peter, his Gospel shows major influences and insights from the apostle himself. Timothy was a fellow worker and traveling companion of the apostle Paul. 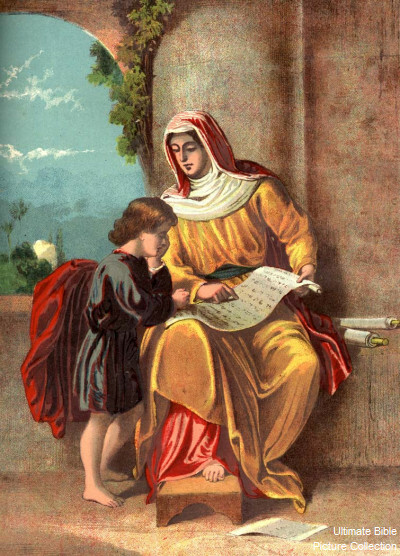 The son of a Jewish woman and a Gentile (non-Jewish) man, he was brought up in the faith by his mother and grandmother, (shown in the picture; Acts 16:1; 2 Timothy 1:5, 3:15). Paul wanted to bring Timothy along with him after meeting him in Lystra, even having him circumcised to prevent tension with Jewish believers, and from there he became one of Paul’s dearest fellow workers. As they traveled together, Paul would often send Timothy to congregations in other cities to strengthen and encourage them in his absence. The letters of 1 and 2 Timothy show Paul’s instruction and care for Timothy as a young brother in the faith and shepherd for God’s people. Titus is another fellow worker and traveling companion of the apostle Paul. He was a Gentile believer who was not compelled to be circumcised during the Jerusalem Council (Acts 15;Galatians 2:1-5), which was a testament to Christ’s fulfillment of the Law on our behalf and the freedom we have because of it. Titus would often be sent by Paul to deliver letters and encourage the believers in certain congregations, showing that Paul trusted him to help guide God’s people through difficult times (2 Corinthians 7:5-16; 8:18-23; Titus 1:5).